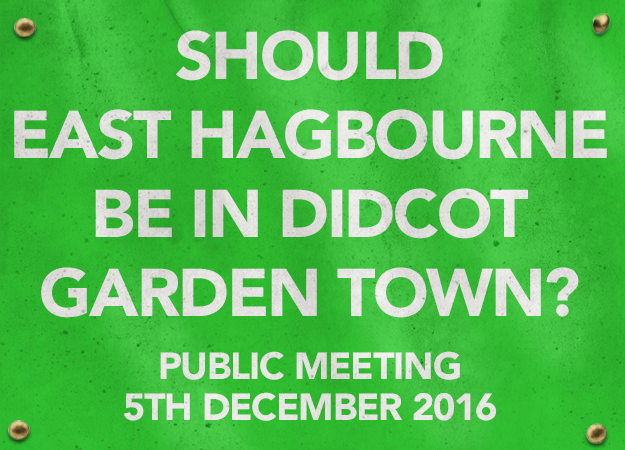 Hear what the Garden Town planners have to say and more at an important public meeting concerning the future of both East Hagbourne and Didcot. Monday 5th December, 7.30pm at East Hagbourne Pavilion. The Didcot Garden Town boundary includes a large part of East Hagbourne. Why? The Garden Town team will explain how their proposals may affect us all. You can get a preview of the Garden Town plans and comment on this website. The January Appeal hearing is imminent. Hear about how appeals work, the strategy to beat Grainger, and what you can do to help. This entry was posted in Uncategorised on 27th November 2016 by Mind the Green Gap. IS EVERYTHING ROSY IN DIDCOT’S GARDEN? The plans for Didcot Garden Town are emerging. SODC, The Vale of White Horse and their consultants have launched a website and began a consultation process. This is another opportunity for us to let plan-makers know what the Green Gap means to our Town and Village. And a chance too to build further evidence for our Appeal that the community reject coalescence of Town and Village. 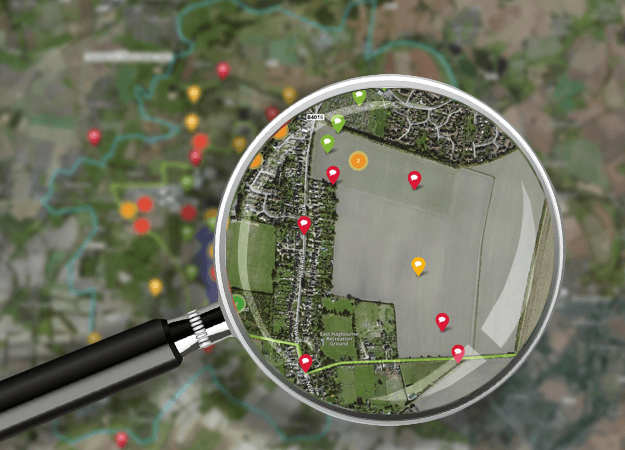 So log onto the Garden Town website and fill its map with comments. Let the planners know that the Green Gap is valued landscape. Let them know that joining town and village is harmful and can never be undone. Let them know why we should Save the Green Gap. “The boundary cuts west across the Parish of East Hagbourne, including the land which is currently subject to a planning appeal. This area has been purposely included within the boundary so that its use can be carefully planned as part of the Garden Town Vision – whether it’s to be developed or maintained as open space. It is important to remember that the Garden Town Boundary does not indicate the developable area of Didcot. It will also include areas to be retained as open space and indicate where new green infrastructure should be introduced”. Should we find solace in these words? The intent may be benign but the result may not. SODC is spending a lot of taxpayers' money defending an appeal. The basis of the appeal is that Didcot and East Hagbourne are distinct settlement hierarchies separated by the Green Gap. The map incorporates the Green Gap into Didcot and reduces the settlement of East Hagbourne to the conservation area. There is therefore no gap anymore. This is precisely Grainger’s argument. There are multiple ways that the ‘Town’ plan could protect the ‘Garden’. Creating confusion and conflict at this critical time is perhaps not one of them. So you may want to tell the Garden Town Team what you think of its boundary too. This entry was posted in Uncategorised on 13th November 2016 by Mind the Green Gap.